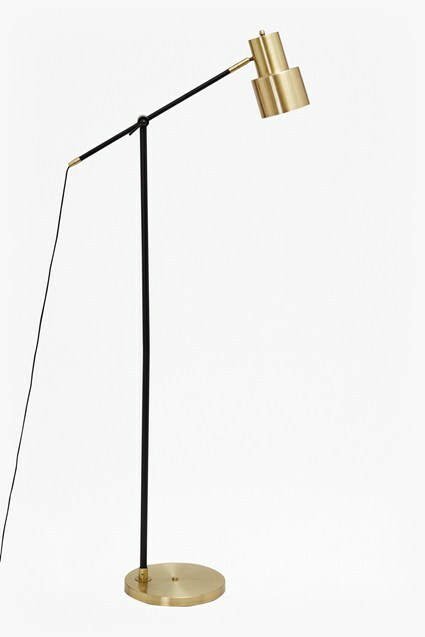 Introduce a retro accent to a contemporary room with this brass-plated steel floor lamp. It’s grounded on a sleek black marble base, and features a downward-facing cylindrical light. Use it to create a cosy reading spot in the corner of a living room or office. Sealant may be applied to protect the marble. Please seek advice from a professional.